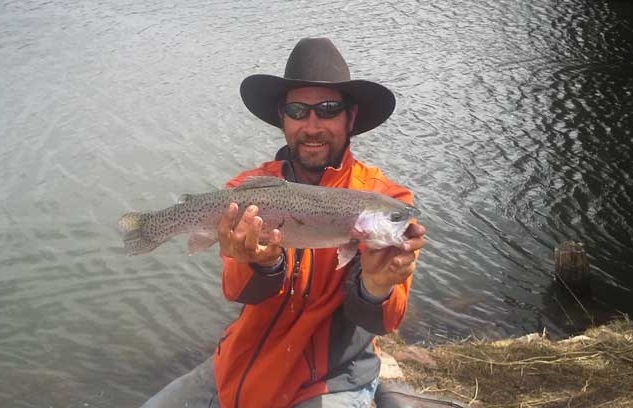 Located on the renowned North Fork of the Cache La Poudre River, we are an angler’s paradise. 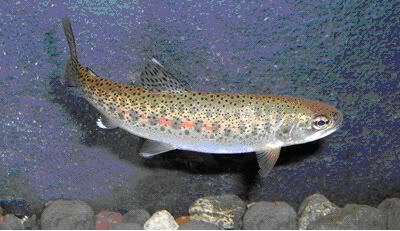 In addition to the naturally established population of Cutthroat, Brown and Brook Trout, we stock beautiful, full size Rainbow Trout annually. 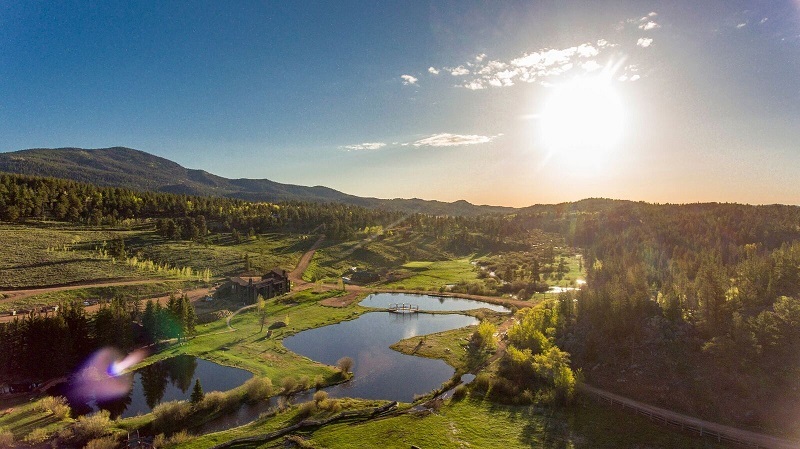 Beaver Meadows Resort Ranch features three fishing/casting ponds just footsteps from our restaurant and lodging facilities. They are ideal for the novice fisherman and a joy to the seasoned angler due to the sheer abundance of trout that they hold. For the more adventurous, just a short trek from the base facilities places you amongst a maze of beaver ponds. 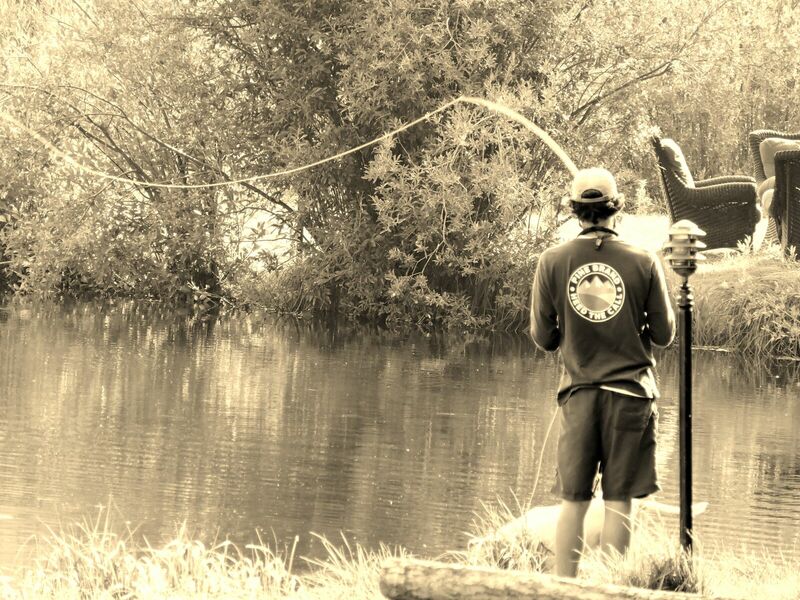 Our River Path Trials winds through these willows brining you to the best fishing holes. This is a great opportunity for adults to introduce the art of the angler to their children. *Kids fish free with paying adult. 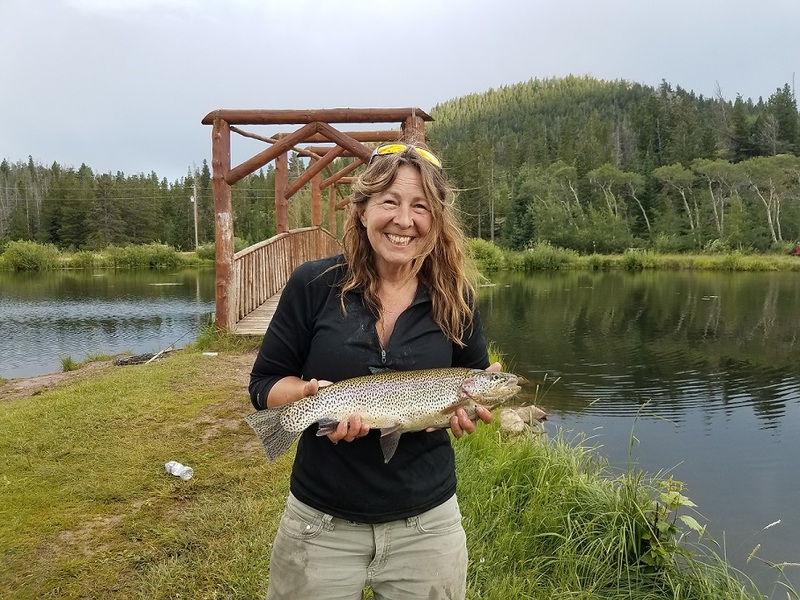 Red Feather Lakes Village, approximately fifteen minutes away, also has eight private lakes that are fully stocked (Erie, Shagwa, Hiawatha, Laticia, Romona, Snake, Apache and Nokomus). 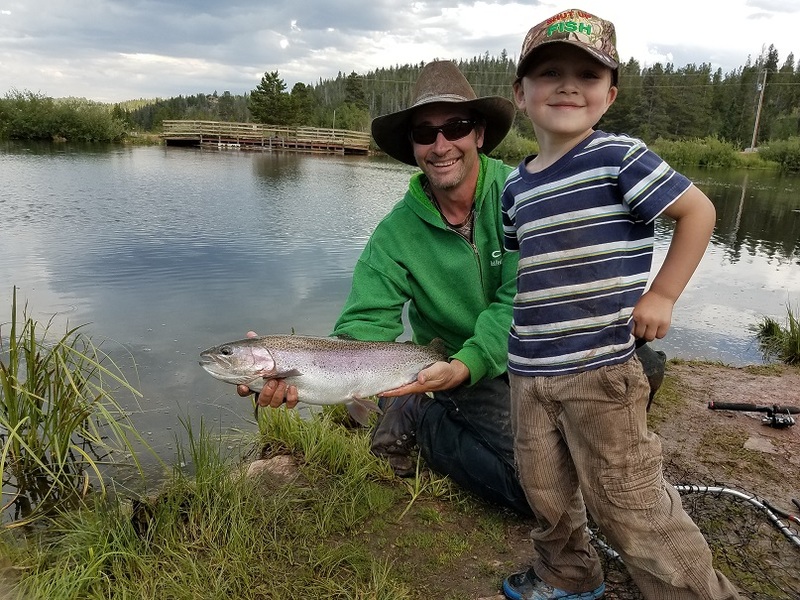 Crystal Lakes area, which is 10 minutes away, offers excellent fishing at Crystal lake, Little Lone Pine, Big Lone Pine and Panhandle creek. In addition to the fishing opportunities we offer, there are five public lakes (Belaire, Dowdy, West, Parvin and Creedmore) within a fifteen minute drive. The Poudre Canyon, a thirty minute drive away, is a recognized Wild and Scenic Route and another wonderful opportunity for the angler. 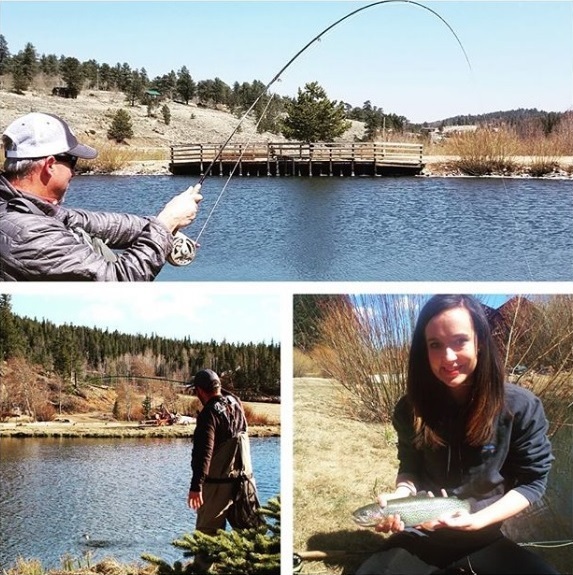 Colorado State requires fishing licenses, even on private land. 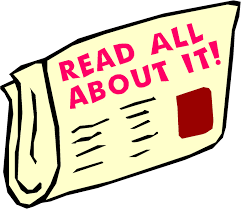 The state rules, given with the license, must be followed. Injured fish must be kept and paid for at $4.50 a pound. Only barbless hooks are allowed. Visit Colorado Parks and Wildlife for more information. We offer ice fishing during the winter season seven days a week, from 9:00am to 4:00pm. Bring your friends and enjoy one of our guided fishing trips together. Choose from our 4-hour “Half Day Guided Fishing Trip” or our 8-hour “Full Day Guided Fishing Trip”. Learn, review, or fine-tune your skills: basic casting for the river, retrieval techniques, netting a fish securely, knot tying, stay on top of changing water conditions, and fish movement. Please be sure to bring your own fishing gear! Advance reservations required.